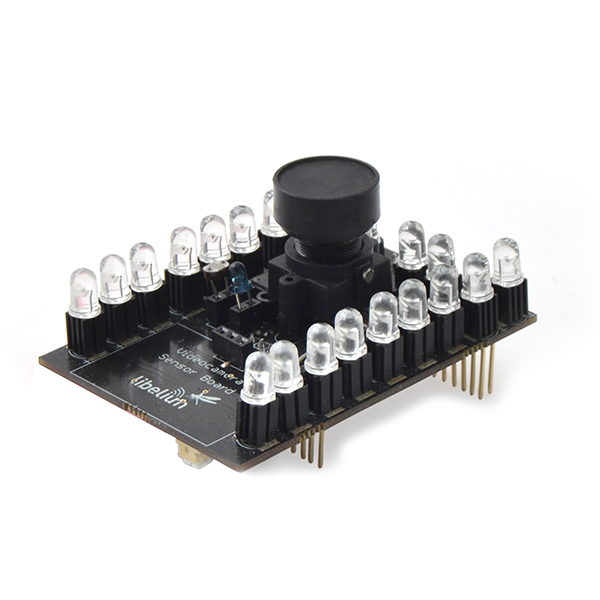 The Video Camera Sensor Board allows to Waspmote to take pictures and record video along with the Waspmote 3G/GPRS board. The board includes 22 IR LEDs, divided in two blocks controlled each one by transistors, to give extra illumination and record with few light or in the night. To eliminate the IR distortion when the board is used with natural light, the board has a filter exchanger with a IR light filter.The board has two sockets for a LDR and a IR photodiode. With the information of these sensors the users can select the proper filter and, if is necessary, to use the IR LEDs.